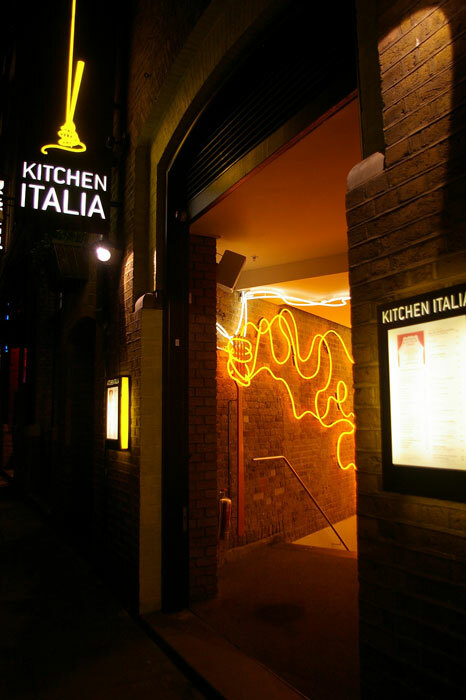 The fast growing Sweet Potato Restaurant & Leisure Ventures Group has extended its latest restaurant concept — Kitchen Italia — by opening a second site close to Covent Garden’s trendy Seven Dials. 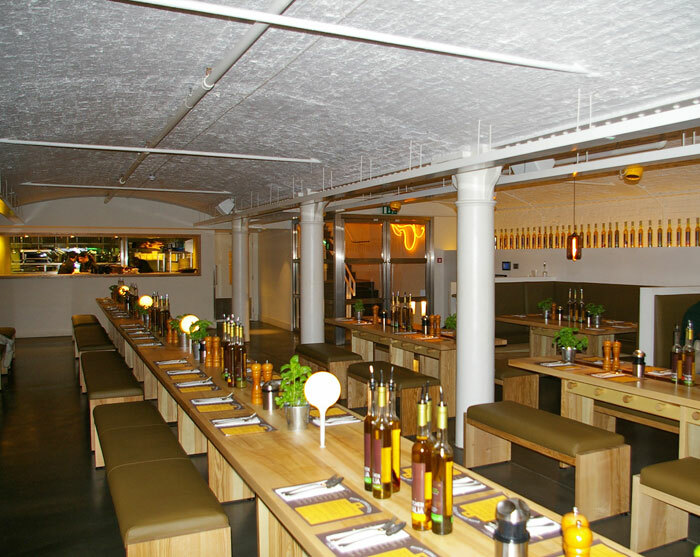 With its big sharing wooden benches the lively fast-service basement atmosphere is brought to life by a background music system, installed by the Sound Division Group and featuring white Martin Audio architectural AQ loudspeakers, alternating along the vaulted ceiling, down the length of the room. 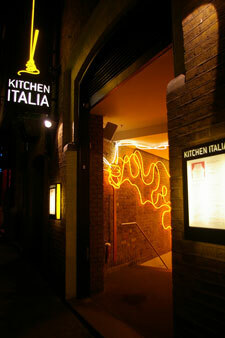 With its prime location next to the Donmar Theatre, and well-known in its previous guise as the Bunker Bar, Kitchen Italia specialises in fresh, homemade pastas and char grill pizzas. 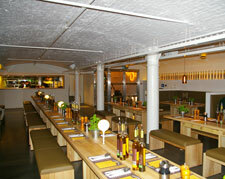 The Sound Division Group has a long history with the operator, having carried out various installation phases at the leisure group’s original venture, Hush in Mayfair, as well as the Villandry restaurants in Marylebone and Bicester, for which they designed and installed the entertainment system. 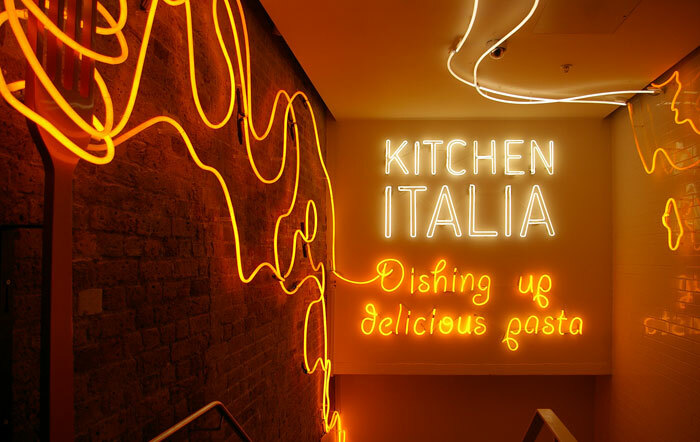 Sound Division then helped to pilot this latest Italian fast food concept (with the inaugural site at Westfield Shopping Centre in Shepherds Bush). Both this, and the Covent Garden site, feature Martin Audio AQ’s. Trading seven days a week, from 11am until late, the new Earlham Street operation needed durability as well as high performance. Sound Division Group installed a total of seven Martin Audio two-way AQ6 loudspeakers in their linear configuration, divided between the front restaurant, bar and the lobby at street level. The music is programmed and fed by an 8Track Music Solutions server, powered by Crown XLS amplifiers and routed to its various destinations from a Cloud CX 263 three-way zoner.